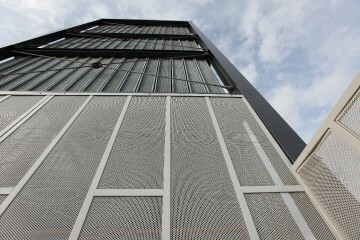 Arizona Glass Specialists' Perforated Panel Systems provide a unique look to any structure. 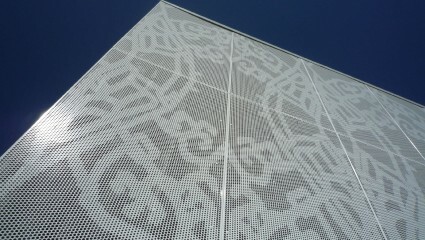 These Perforated Panels are skillfully manufactured to add privacy and can also act as a sun shade to reduce interior heat. Well-placed panels can give an older building a newer, more modern look, while at the same time increasing the efficiency of cooling systems. 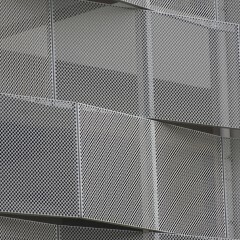 They are available in any number of finishes and perforation patterns and can be modified to your building without major structural reconfiguration. Arizona Glass Specialists' engineers will assist with design and installation plans to make your project a cost-efficient and attractive building addition.